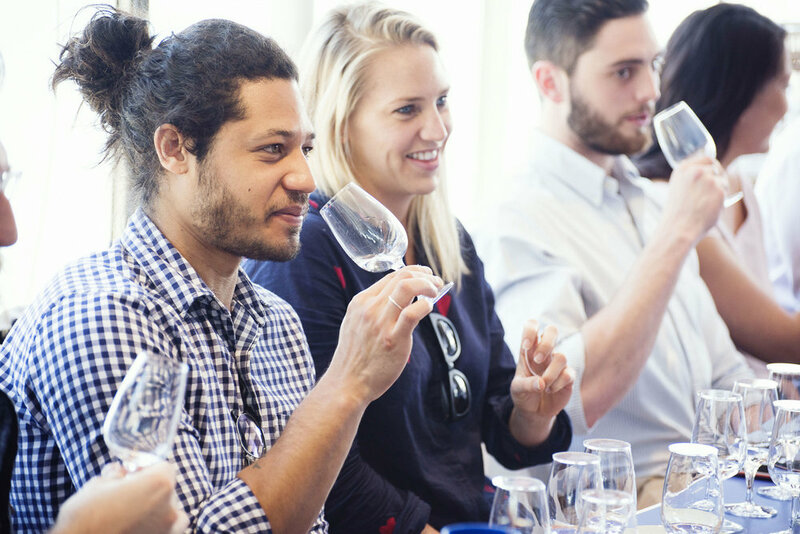 During this masterclass, you will delve into the unique and wonderful world of gin production. You will not only learn about the long and fascinating history of gin, you will learn how the techniques and exotic botanicals used in gin production effect the flavour and quality of gin. But, most importantly, you’ll get to taste 4 different Gins from the Bibendum portfolio and Poor Tom’s range. We will be running two masterclasses, on Wednesday 24th of January from 12:30-2:30 & 6:30-9:30, and it will be held in our private dining room, The Blue Room. This exclusive experience costs $70 per person for a welcome cocktail, tasting session & canapes. Bibendum Wine Co.’s role as a merchant of all things wine & spirits could not be simpler: aim to source the most delicious, the most authentic, and the highest quality products possible from Australia and around the world in order to offer them to clients. Bibendum lives or dies by how well it performs this task. The company prides itself on sourcing quality wine & spirits which requires a great deal of expertise and experience. Understanding the potential of a producer and their products is much more than just a slurp and a spit. At Bibendum, there is a remarkable community that work within the organisation. Together the company has over 200 years of collective trade experience. The Bibendum Bar sales team are all, without fail, spirits people first and foremost. Their passion, knowledge and enthusiasm for spirits is one of Bibendum’s greatest assets. The same can be said of Bibendum’s Wine Co.’s team in relation to wine. Bibendum’s producers have worked their backsides off to make the best possible wines, spirits, barrels, craft mixers and glassware. They are widely recognised as benchmarks and, in many cases, pioneers. It is a great privilege for Bibendum to represent these makers and honour their hard work by the way they are represented in the market. This is a duty Bibendum takes very seriously. Fuelled by their mutual love of craft gin, two ex-schoolmates, Jesse Kennedy and Griffin Blumer – with zero combined experience in distillation – pooled pretty much every available penny they had and ordered a small 200 litre copper still from Müller in Germany back in 2014. They then quickly realised that making great gin wasn’t as easy as it sounded and after a great deal of trial (and error), they managed to convince Marcel Thompson, “...one of Australia’s most experienced gin distillers...”(19 June 2015, The Shout) to join their posse and that was when things got serious. With a history that includes stints making Gordon’s and Tanqueray amongst others, Thompson offered the group the engineering and distilling nous to match Kennedy and Blumer’s passion to transform the business into the success it relishes today. Poor Tom’s Sydney Dry Gin recently scooped Gold at the prestigious 2017 San Francisco World Spirits Competition.